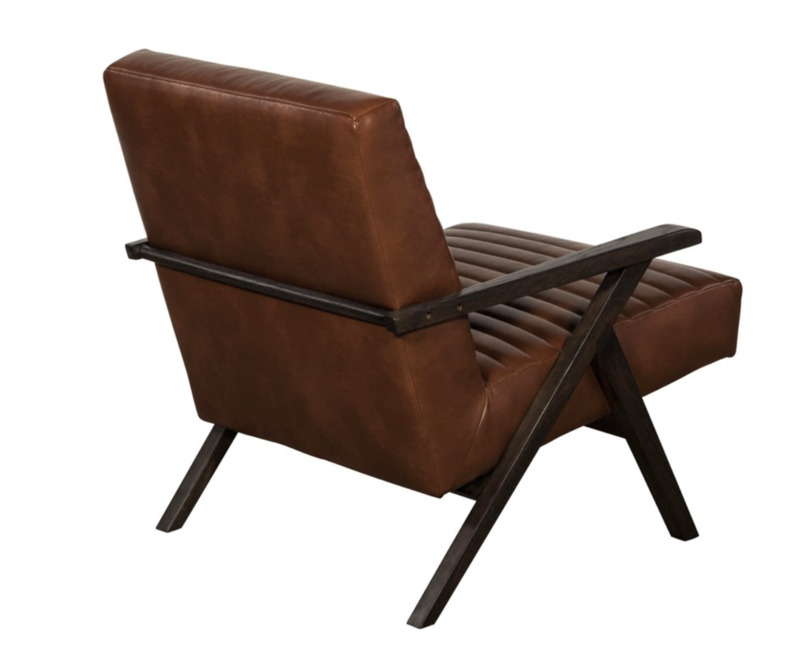 This lounge chair from our Directions collection features mid-century modern design with a hint of retro flair. Features horizontal channel tufting on the seat and seatback. 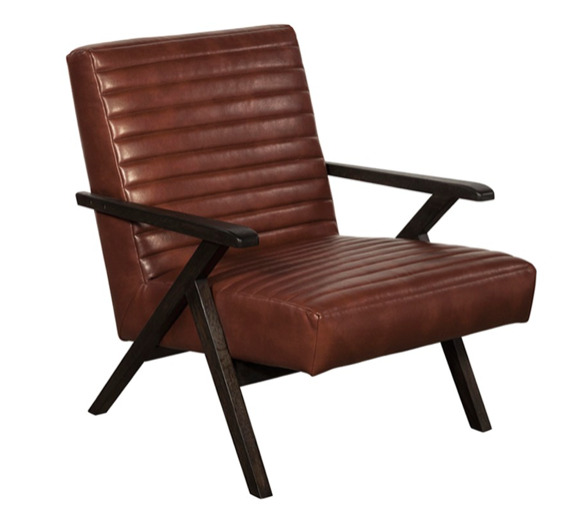 Stocked in saddle brown and magnetite leather with a rich solid oak frame.